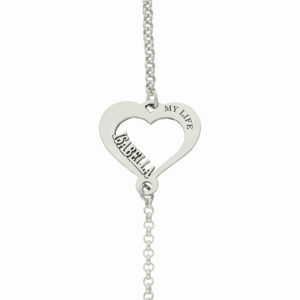 Silver love heart charm with an engraving of your choice on the side. 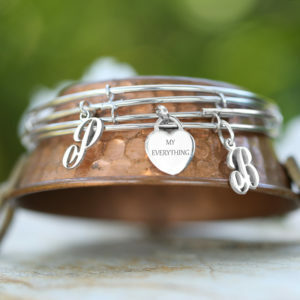 A silver bracelet with a heart charm. 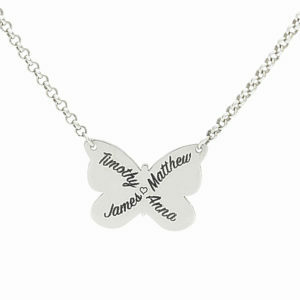 Add a name of your choice and an engraving. 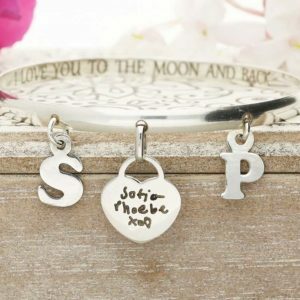 A solid silver name necklace. 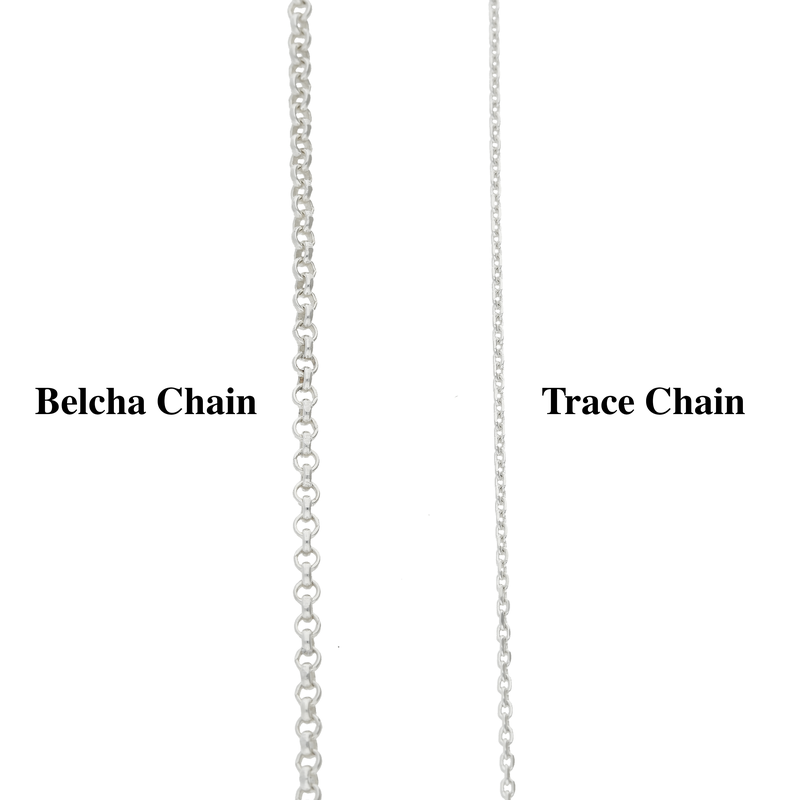 Choose your preferred chain and length. All names are available in 18ct and 9ct yellow gold. 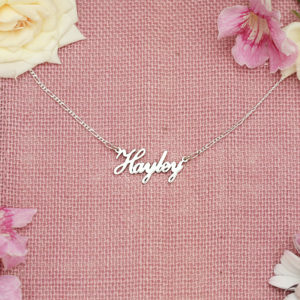 Our name necklaces are 1mm thick and are also wide. Therefore they are heavier and stronger. I was given this as a gift. 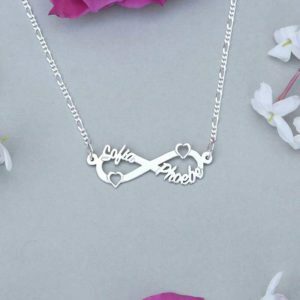 It’s beautifully designed and a very high quality item, which made it a perfect personalised gift which anyone can wear with pride. A beautifully elegant high quality item of jewellery that I would definitely recommend. 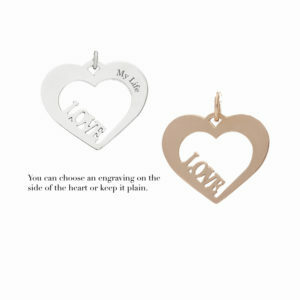 All names are also available in 18ct and 9ct yellow gold. 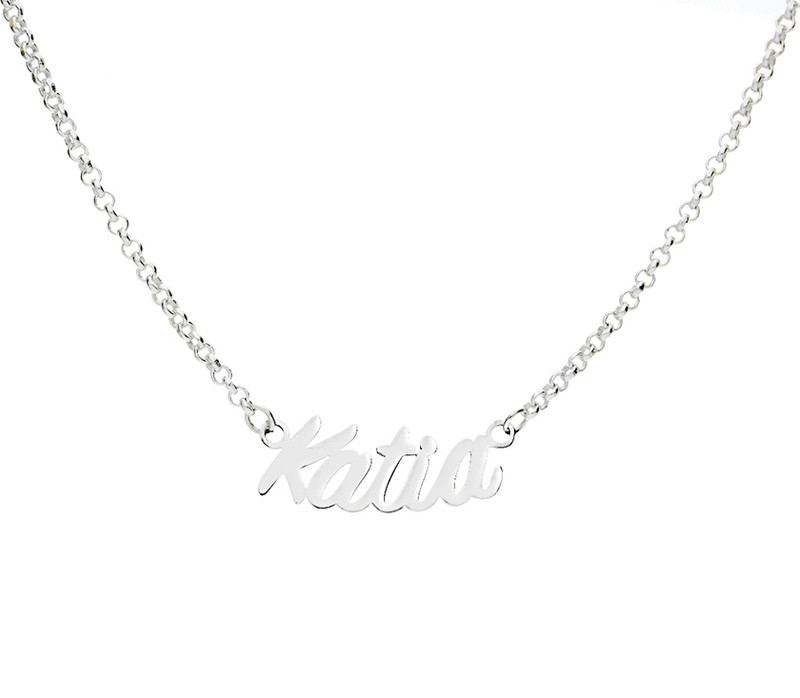 Our name necklaces are considerably thicker than regular name necklaces. They are 1mm in thickness and are also wider. Therefore they are heavier and stronger. 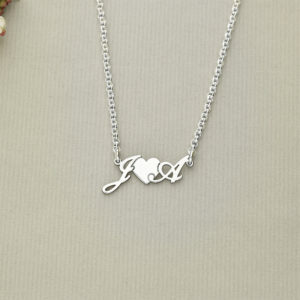 A gold name necklace with a chain. 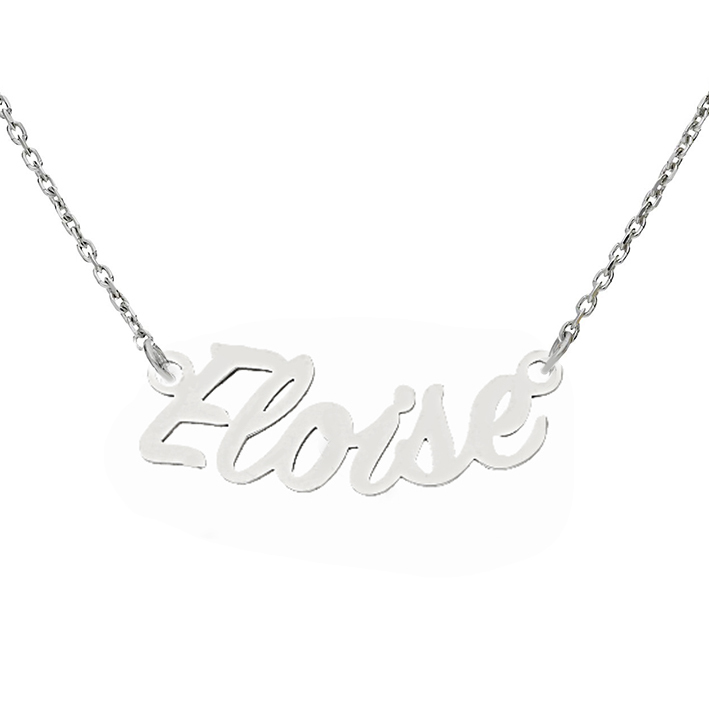 All names are available in 18ct and 9ct yellow gold and silver.